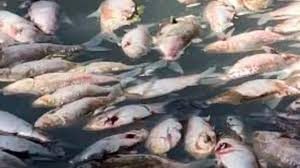 Confronting photos of thousands of dead fish in the Darling River have raised our awareness of the need for healthy rivers and a sustainable water management policy framework. Lin Crase , Professor of Economics at the University of South Australia will speak with us about the history, economics and politics of water, especially in the Murray Darling Basin. Lin is considered one of the world experts on water and has worked on projects in SE Asia, Japan and Europe as well as here in Australia. Video stream from the evening’s event is below. There’s a copy of the Facebook stream of the event below. Welcome to the Newcastle Institute for 2019. It has been great to see so many of our inaugural members for 2018 renewing their memberships for 2019. Our committee and our program convenor for 2019, Robert Logan, have been working to prepare an interesting and diverse program for this year, with our first event scheduled for Wednesday March 13 at Souths. You can see details of our first four events by clicking the 2019 Program link in the top menu bar. Members enjoy free entry to all events with casual attendance available by registering using the link on the right or attending on the night. To cover our venue hire costs and other expenses for hosting presenters etc, we request a $10 donation at the door. Everybody is welcome at our events, which generally take place on the second Wednesday of each month from March to November inclusively. The Newcastle Institute has decided that we will not host a candidates’ forum for either the State of Federal elections coming up this year. New members are welcome, and you can use the link at the right to access our membership management system and subscribe online. Come along to the last Newcastle Institute event for 2018 on Wed 7th November at 6.00pm. Our speaker is Michael Ondaatje. 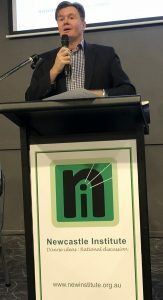 Michael Ondaatje has been a popular speaker at previous Newcastle Institute events. He is a regular commentator on US politics in the Australian and international media. Academically, he is National Head of Arts at the Australian Catholic University, a prize-winning researcher and teacher, and a recipient of the Max Crawford Medal. Recently he was selected by the United States government for an International Leadership professional exchange program. Michael’s presentation at the Newcastle Institute on Wednesday 7th November 2018 will coincide with the US mid-term elections. There should be much to reflect on and consider for the future of the Trump presidency. As always, the evening will include plenty of time for questions and discussion. For our September event, on 12th September, we are collaborating with the organisers of the Margaret Henry Memorial lecture to promote this event to the members of the Newcastle Institute and to our email list. The inaugural Margaret Henry Memorial Lecture will honour the memory of the prominent Newcastle activist who served two terms as a councillor on Newcastle City Council. Renew Newcastle founder, and Patron of the Newcastle Institute, Marcus Westbury will present the lecture, Community, Democracy and Change: Reclaiming Newcastle’s Future. Newcastle Writers Festival director Rosemarie Milsom will host the free event. “RENEW Newcastle founder Marcus Westbury will deliver the first Margaret Henry Memorial Lecture next month. Westbury said delivering the inaugural lecture, titled Community, Democracy and Change: Reclaiming Newcastle’s Future, was an honour. “She was courageous, passionate and determined,” he said.” She was not afraid to speak her mind and stand up for those without a voice. The lecture was organised by loved ones and friends of Ms Henry, a former deputy mayor and community campaigner who was posthumously made a Freeman of the City in 2016. Her daughter Catherine said the lecture would become an annual event. “In the lead-up to this event and generally, people say their lives have been deeply enriched by having known mum,” she sad. The lecture is from 6pm on September 12 at Newcastle City Hall. Scroll down to see the video stream of this event. Securing reliable energy at affordable prices is a significant challenge for Hunter households and businesses. The Newcastle Institute’s August Forum will present options for how we can take control of our energy usage and costs now, and position ourselves for future energy challenges. Discussing our energy future will be two experts in energy: Dr Stephen White and Mr Gavin Gilchrist. Stephen leads CSIRO’s energy efficiency research and is a Program Leader in the Low Carbon Living CRC. He is renowned for research into air-conditioning and building thermal design, and is responsible for the NatHERS benchmark software tool, for rating residential home energy efficiency. Gavin is a sustainability consultant with 20 years’ experience in energy efficiency focusing on identifying and delivering energy efficiency and renewable projects. For 14 years Gavin was Director and founder of energy efficiency company, Big Switch Projects, which provided advice to business, governments and households on how to save energy through improved lighting, hot water systems, air conditioning and building design. Making decisions about securing energy which is reliable, affordable and environmentally sustainable is complex for households and businesses. 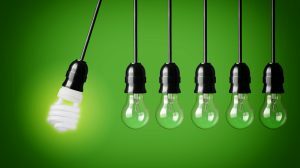 For many years energy policy has been confused and politicised, market and pricing mechanisms are constantly changing and lack transparency, and technology is advancing. As populations rise and extreme weather events are more frequent as the climate warms, demand for energy is increasing. In this complex environment, households and business energy bills have increased significantly, creating an unaffordable burden for many. Despite this complexity there are steps households and businesses can take to ensure reliable and affordable energy. Our experts will discuss current policy, market and pricing mechanisms for ensuring secure, affordable and sustainable energy for households and business. They will also present options as to how households and businesses can position themselves for future energy needs. Since the turn of this century there has been lots of discussion about just how we should look at equipping children and young adults with the skills, knowledge and value framework for a rapidly changing world in which concepts like the nature of work itself and traditional pathways to careers and vocations are being short-circuited by a number of influences. Indeed, with almost twenty years of the 21st Century already gone, there is a range of opinion about why we have schools and the sorts of places they should be. Come along to Souths on 11 July to hear from a panel of great practitioners in education as we further the discussion around schools and education. Our panel of presenters will provide some keen insights into current educational thinking. Acting as our facilitator on the night will be Education student Kiera Campbell. Everybody is welcome at our events. Please use the links at the right to register for the event or find out more about the Newcastle Institute. If you’d like to review some of the ideas that have been floating around since the turn of the century, you may find some of the videos below interesting. And, to see recent thinking about education for a changing world, you may be interested in the Future Frontiers Analytical Report. And some other thinking from 5 years ago: Designing your vision for a digital school. Designing your vision for a digital school. Are we creating sustainable and resilient communities? Would you like to ask a question of our panel at this event? See the Facebook livestream of the event embedded below. You can also see this on our Facebook page and join in the discussion there if you like. Or, please feel free to use the comment link at the bottom of this post. A collection of readings follows the livestream. It has been great to see the interest being taken and registrations for our forum next Wednesday, 9 May. And, some background, specially curated by our organisers for this event. Some articles which may be of interest. This selection includes: data about women, some responses – past and present, and the issue of responsibility.